These teleseminars include sessions on a wide variety of marketing topics of interest to consultants, small businesses and nonprofit organizations – from starting and building a business, to branding, marketing strategy, and building your personal brand. Recordings of our popular business and non-profit teleseminar series are available as well. 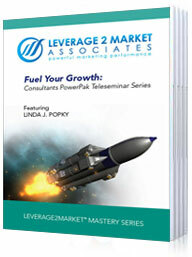 Purchase our Consultants PowerPak series! Teleseminars are available as individual sessions or at a reduced rate in a series. Not able to make the live session? No problem. Our sessions are recorded and available to you as downloadable MP3 files. Join us for an hour of important information to get you off on the right track for a profitable and powerful 2013. Learn more. Drive your business to the next level with marketing strategies that help you differentiate your consulting business and strengthen relationships with key clients and prospects. 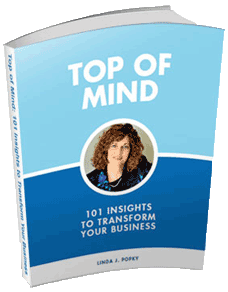 These four teleseminars are packed with strategies and techniques to help power your business to higher levels of success. 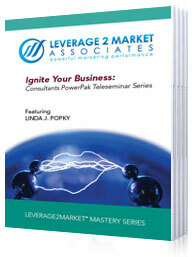 You can purchase individual teleseminar sessions. Learn more. Companies and consumers are still making purchase decisions, but the decision making process is longer and different than it was before. Are you prepared for this new selling environment? Do you know how to effectively market in a post-recession economy? It’s never simple to promote and grow a non-profit organization. Today’s tight economy makes things more complicated. We’ve put together proven marketing and branding techniques you can apply to your own nonprofit organization or membership association. 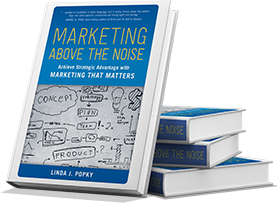 “Taking the Mystery Out of Marketing Metrics” – See video and presentation slides.